If you don't see Arabic characters in the header (above the Translation index) or in the topic titles of the Arabic Sacred Text forum for instance, you may need to add Arabic support to your browser and/or your operating system. Then click "Ok". Then Click "Ok". 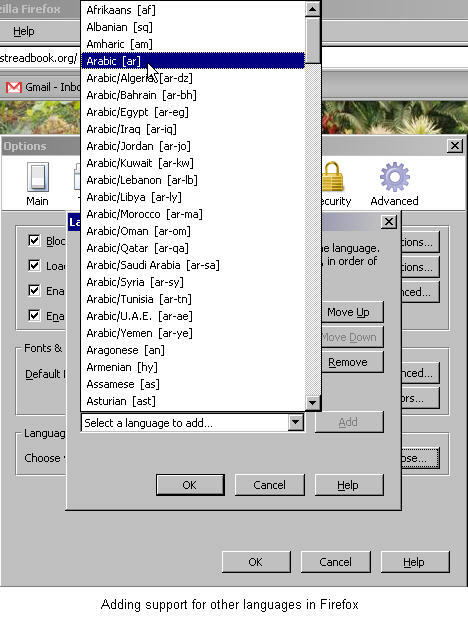 To add support for Arabic in Windows, go to the Control Panel and open up the "Regional and Language Options" folder. Select the "Languages" tab. 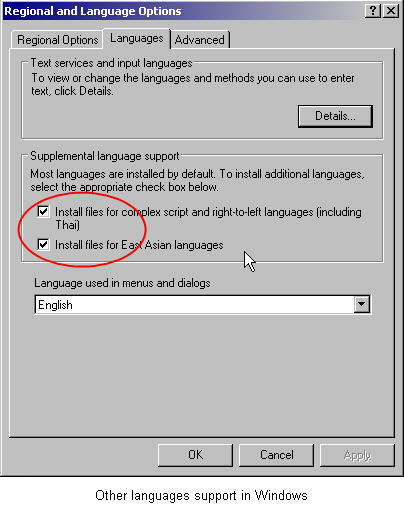 Check the check box that says "Install files for complex scripts and right-to-left languages" then click OK. Finally, you may also want to install Arabic fonts. You do that in the Control Panel too. 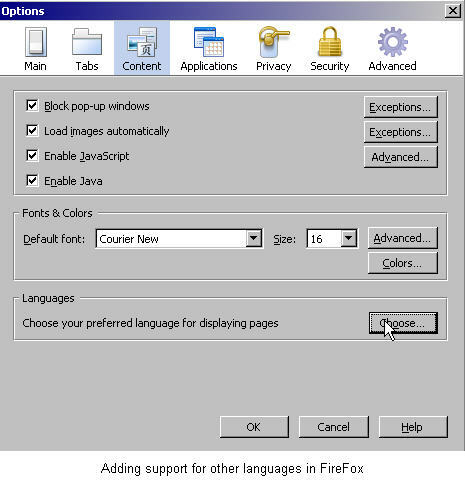 Open up the "Fonts" folder and simply drop in it the font file you want to install. You may have to restart your computer for some or all of these changes to take effect.